The Hidden Logic of Scripture: Eating the Passover Lamb the night before it is killed? We have seen in previous writings how Yahushua clearly stated the Last Supper was the Passover meal of Scripture. Many today, however, have been unable to believe the words of the Saviour, because they are trying to figure out the logic of Scripture, before they obey. For this reason alone many have not kept the true Passover, and so have not yet drunk of the Passover Cup of the New Covenant. Instead, they have kept a substitute Passover having the Biblical name ‘communion,’ but which is a counterfeit of the True Passover. The counterfeit is of no true value. What is the problem — and the solution? Men have not been able to answer this hypothetical question, which is based on assumptions rather than Biblical evidence. Instead, many have sought a different explanation of the Last Supper, imagining the Last Supper to be some other event, perhaps a ‘graduation ceremony’ for the disciples, or even the instituting of a ‘new’ ceremony or tradition, rather than what Yahushua plainly said it was. Thus we have today many counterfeits of the Passover. Scripture shows the simple answer to the above question. But because Yahuweh does not open man’s eyes to a particular truth until man begins to walk in obedience to that truth, men have settled for a non-truth, put forth by the Doctrines of Men. Messiah was killed in a particular year in the evening of Passover, and we are told that He is our true Passover sacrifice (1Co 5:7). But from the time the Israelites kept the first Passover in Egypt, even for many hundreds of years prior to Messiah’s crucifixion, Yahuweh’s people continued to kill, and then eat, the Passover sacrifice. They first killed the animal sacrifice, and then ate it according to Scripture. They did these same events, in the same order, for many years, even up to the night before Messiah was killed. They first killed, then ate, the animal sacrifice. It was not until the following afternoon that Messiah became the fulfillment of the Sacrifice, when He ws crucified. So we see the lamb at the ‘Last Supper’ was not eaten before it was killed. It was killed and then eaten, as usual, with the fulfillment occurring the following afternoon. Because many modern-day theologians do not obey Torah, they do not know or understand Torah (Psalms 119:100; John 7:17, et al). And because they do not understand Torah, nor understand how Torah was applied in the life of Messiah and His Disciples, they have wrongly concluded the night of the 15th day must have been the Passover, and perhaps the Last Supper held on the night of the 14th was something ‘new’ for the Gentiles. Both of these notions are wrong, according to Scripture. If Messiah had instituted something ‘new’ not found in Torah, He would have transgressed a number of His own commandments (Deuteronomy 4:2, 12:32; 13:1-5; Proverbs 30:6), which would be sin (1John 3:4) — which would disqualify Him from being an acceptable, sinless sacrifice for us, and from being our Redeemer. But we know Messiah did not sin — He did not transgress the Torah (Hebrews 4:15). Here is the simple answer of Scripture, found in the Torah. In the above passage, we are told that the lamb is to be kept until the 14th day, and then killed in the evening. Let’s look closely at this day and time. As we have seen earlier, the beginning part of a Scriptural day begins at sundown, at evening, and continues for 24 hours to the next sundown. The evening is the start of the Biblical day. So the above passage tells us that the lamb is to be killed in the evening, or literally, “between the evenings or sunsets.” But when does the evening occur? Here we are told the evening — the ‘ereb’ — is the time of ‘the going down of the sun,’ what we would call sunset. Putting these Scripture passages together, we see that the Sacrifice Lamb is to be killed “between the evenings” or “between the sunsets;” that is, between one sunset-evening and the next sunset-evening. But are there other examples of ‘between the evenings’ seen in Scripture? We have now seen two Scripture passages in which Yahuweh describes a 24-hour period for keeping a Feast day. We saw above how Yahuweh allows a full 24-hour period of the 14th day in which the Lamb is to be killed. We also saw how the time to eat the Passover meal is specified as sundown, near the start of the 14th day. When in Egypt, the Israelites did this very thing. They killed the Lamb at sunset, at the beginning of the 14th, and ate the Lamb with haste before midnight the 14th. Here the lamb was killed near the start of the 24-hour period allotted in the Exodus 12:6 passage. At the Last Supper, Yahushua and the disciples did likewise. They held the Passover meal just after sunset, also at the beginning of the 14th. But it was not until late the following afternoon that the True Lamb was killed, about the 9th hour — that is, around 3 hours before sunset, but still on the 14th. Here the Lamb was killed near the end of the 24-hour period of the 14th, but still within the allotted 24-hour period of the 14th day. Notice the apostle Paul tells us, “the same night in which Messiah was betrayed.” Notice this was before His crucifixion, not the following night after His crucifixion. Notice that this is part of the apostle Paul’s instructions for us, and for all who choose to follow Messiah! Both Messiah’s words and Paul’s words make it abundantly clear, that Passover is to be eaten in the same night Messiah was betrayed, not the next night. It is to be eaten the night before He suffered and was crucified, not the not the following night after His crucifixion. In order to accomodate tradition, Rabbinic folklore has defined the term ‘between the evenings’ in a manner that would befuddle, and cloud the issue, and prevent men from seeing the True Lamb of Yahuweh, that takes away the sins of the world. This tradition claims that ‘between the evenings’ is some period of time between two imagined separate evening phases, between 3pm and 6pm, occurring in the same afternoon. 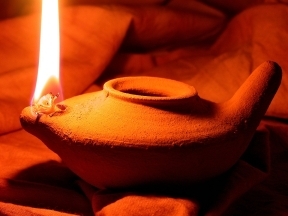 This notion is just the imagination of men, for we see in the above Scripture passage, that the word ‘ereb’ used for evening is defined also as darkness and night, the time after “sunset.” Likewise, when we recognise the life of Yahushua as our example, everything falls neatly into place. Thus Scripture defines “between the evenings” or “between the sunsets” as simply a 24-hour period, from one sunset to the next. The light of the Scriptures and the example of Yahushua, when seen together, reveal what is Truth, and what is fiction. Thus we see the time of eating the Passover meal is fixed narrowly to only night time, but the time of killing the Sacrifice Lamb can float — allowing for the difference in timing between both the Egypt and Last Supper Passovers. What has suffered is man’s lack of eyesight to see this Truth, and to walk in it. The Passover is to be kept at the beginning of the 24-hour period of the 14th day of the Biblical first month. The Passover Lamb was to be killed between the evenings, or between the sunsets, within an allotted 24-hour period of the 14th day. This floating time for killing the Lamb allowed for both the Passover in Egypt and the Passover of the Last Supper to occur at their appointed time, and still allow for Messiah as the Sacrifice Lamb to be killed after the meal had been killed and then eaten the previous night. Man’s attempt to understand Scripture, without first walking in it, has come to nought. And man’s attempt to figure out the logic of Scripture without first walking in it and understanding it, has prevented him from seeing the Truth of Scripture. Yahuweh’s plan is that man is to first believe and obey, and then man will receive understanding. As we obey Him, and keep Yahuweh’s New Covenant Passover and other Sabbaths, Yahushua will open our eyes to much Truth. 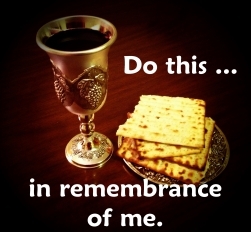 Only then may the Scriptures open up, to tell us how the Passover meal can be eaten after sundown the night before, and the Passover Lamb slain the next day.